Do your subscribers still want to hear from you? You’ve probably heard the advice that it’s important to email your subscribers on a consistent basis so your list doesn’t go stale. But even so, over time, email subscribers can still go stale. Some people may have changed email accounts, or maybe they just aren’t interested in your brand anymore. So to keep your list fresh and filled with engaged subscribers, it’s a good idea to periodically remove inactive subscribers. An inactive subscriber could be anyone who has not engaged with any email in the past 6 months or more. But before you get rid of them, try sending a last-ditch-effort email to try to re-engage your inactive subscribers. For example, Carol Tice sends a last-ditch-effort email to her inactive subscribers that says, “Do I bore you?” and asks if they still want to stay subscribed. Some people respond, but all others get purged. You can also use the subject line, “Is the love gone?”, “It Isn’t You, It’s Me.”, or if you are feeling really gutsy you can write, “Do you hate me?”. Another way to keep your list fresh is by checking in with your subscribers every once in a while to ask if they would like to update their information and their preferences. This way, they are reminded that they can take control of how they want to engage with you. If you are trying to revive a cold list, try conducting a survey. In exchange for answering your questions, they get a free gift (like a $5 gift card, for example). This kills two birds with one stone: it incentivizes them to engage with you, while also providing you with the information you need to continue to engage them with content they will love. When people decide whether or not to open an email, one of the most important factors is whether or not they think the email is relevant to them. The best way to increase the relevancy of your emails? 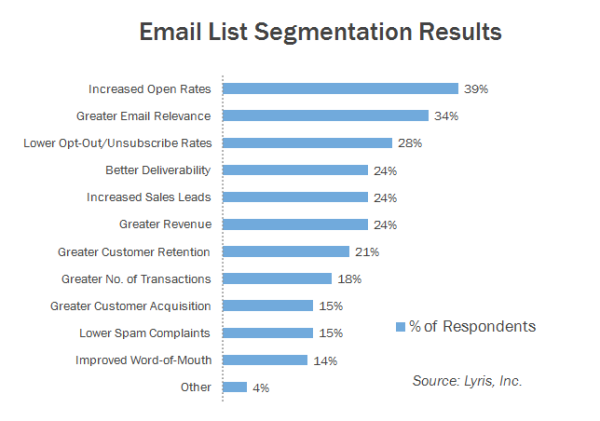 By segmenting your email list. You can start by adding tags to your subscribers based on behavior, such as purchase behavior. So when someone becomes a paying customer, you send them different types of emails than you would send to someone who has not purchased anything yet. You could even send different emails based on the specific products they purchased. 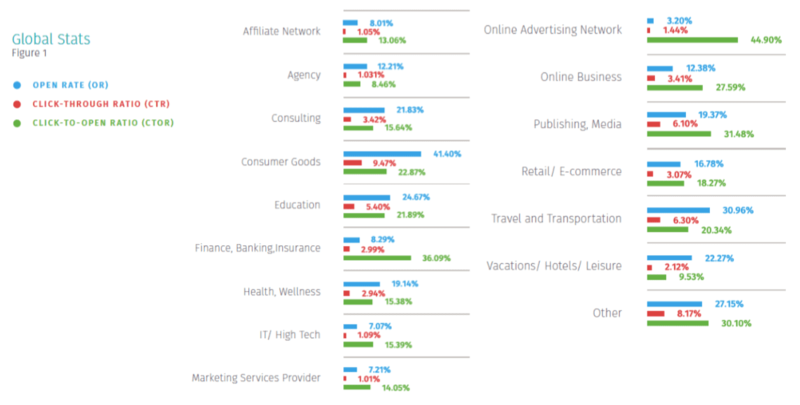 You can also segment your lists based on demographics (such as location), or interests. How did they get on your email list in the first place? If they downloaded one of your opt-in bribes on a particular topic, create a segment of those people so you can send them more emails on that specific topic. Once you have these segments, it is so much easier to know what subject lines and messages to write that will entice them to open and engage with your email marketing campaigns. Spam filters have gotten more sophisticated in the past several years, but they’re still not perfect. Your emails–even your best emails–can still get caught in the dreaded spam folder, never to see the light of day. If you want to maximize the reach of your email marketing campaigns, you’ll need to do everything possible in order to avoid being flagged as spam. Make sure all recipients have actually opted-in to receiving your emails. Send your campaign from a good IP address; that is, an IP address that hasn’t been used by someone else who has sent spam in the past. Use merge tags to personalize the “To:” field of your campaign. Show subscribers how to whitelist your emails, and ask them to add you to their address book. Avoid the excessive use of “salesy” language (these are spam trigger words like “buy”, “clearance”, “discount”, or “cash”). Don’t “bait-and-switch” by using deceptive subject lines. Include an easy way for subscribers to opt-out of your emails. Timing can have a huge effect on whether or not your subscribers open your emails, so think carefully about what time and day you send your emails out. You won’t be able to figure out the perfect time immediately, but perform some A/B tests to identify which timeframes seem to perform best, and explore those in future campaigns. But you may be wondering, has anyone else already done some tests that you can benefit from? 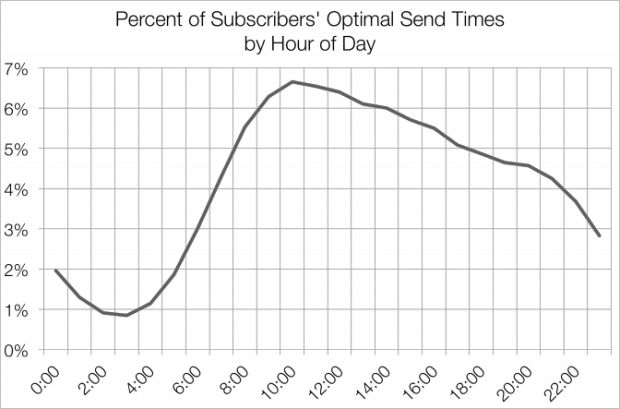 Well, MailChimp’s data says that, in general, the best time of week to send emails is on weekdays versus weekends. No single day won hand’s down. They also found that, in general, the optimal time of day to send emails is at 10 AM in the recipients’ own time zone. However, when they looked deeper, they discovered that the type of content being sent had a significant effect on the peak time, as well as the location, age, and occupation of the recipient. If we combine these two reports from MailChimp and Experian, it certainly appears that the best days to send emails are weekdays, and the best times are not too early in the day. But the bottom line on email send time is this: imagine a day in the life of your particular audience. What are they doing in the morning, afternoon, and evening? What does their workday look like? How late do they stay up at night? How early do they rise in the morning? 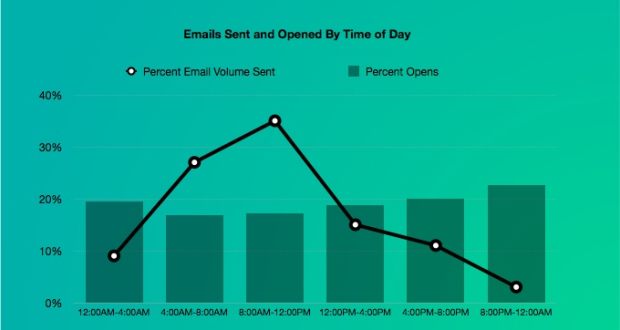 All of these questions will help you decide on the best time to send your emails. When it comes to email open rates, your subject lines are everything. Your job is to make your subject lines stand out. Companies have used email marketing for years, often copying the same subject line formulas. 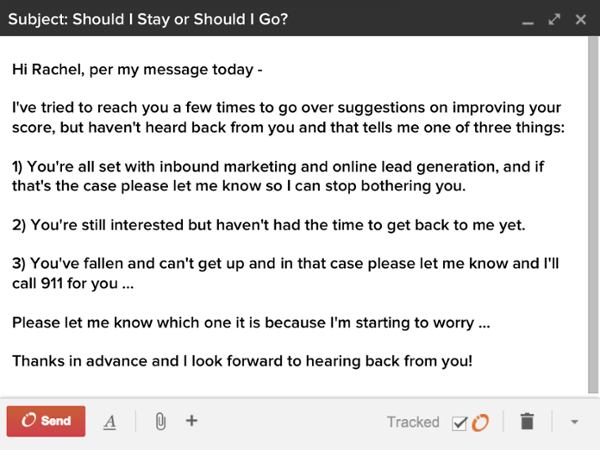 As a result, these common subject lines are often filtered out as white noise. To break away from the competition, you’ll have to get more creative with your subject lines. Entice curiosity, but don’t be too clever. You want to make them curious enough to open, but without being so cryptic that the subscriber hasn’t a clue as to what you’re talking about. Insert numbers. There is something about numbers that draws the eye. Use a fun, joking, or conversational tone. Speak in the language and style that your subscribers use themselves, especially when talking with their friends. For some great subject line examples, we’ve written a whole post on the best converting email subject lines. When you draft your subject line and message content, it’s natural to think of the thousands of people who are about to receive it. However, it’s far more effective to write as if speaking to an individual person, with a personal subject line and a personalized message. In order to write this way, you’ll have to really know your buyer persona. You need to understand their problems, their desires, their values, their likes and their dislikes. If you are having trouble with this, send out an email asking for a quick five minute chat. On the call, you can ask questions that will help you understand what your subscribers needs are, and how they think. When writing your emails, you’ll need to put your corporate hat to the side, and write like a friend. This is the only way to really appeal to your subscribers and get them to open your emails. For example, a corporate phrase like, “We’re offering savings to our customers!” comes off as distant and stuffy. That makes the email seem a whole lot more personal, and makes it less likely that your recipients will simply delete your message and move on. Remember: in this age of information, everyone is looking for a reason to ignore your emails. They aren’t looking for a reason to read them. But if you appeal to them on a personal level, you’ll stand a better chance of getting an open. When a user opens your email, you’ve essentially won the battle, right? So why is the actual content of your email important to the open rate? The content inside your email is actually really important for open rates because if your subscribers are happy with your content, they are more likely to open your emails in the future. They may even begin to eagerly anticipate your emails. Conversely, if a subscriber is displeased with what they got in your email, they probably aren’t going to open your emails again, and they may even unsubscribe. So how do you make sure your subscribers are happy with your email content? Simple: make it awesome. Link to incredibly valuable resources, like a free eBook, an epic blog post, or a webinar. The key is to make sure that you aren’t sending emails just to send emails. Every single time you email your list, you need to deliver something of real value. The higher the value of every email you write, the more loyal your subscribers will become, and your open rates will increase. Humor has a way of making a strong, instant connection with people. It’s personal, entertaining, and sticks out in peoples’ minds. But what if you aren’t a very funny person? It’s not always easy to be clever or humorous, and trying to fit your attempt into the narrow constraints of an email subject line? That can be rather tricky. Thankfully, you don’t have to be a comedian in order to pull off a humorous email. What’s more important is that you understand your email recipients intimately. If you know their likes and dislikes, it will be so much easier to pull off a joke, or insert a tongue-in-cheek reference. You’re all set and I should stop bothering you. You’re interested, but just haven’t responded yet. I should follow up in three months. You’re being chased by a hippo and need me to call Animal Control. You could also insert a funny animated GIF to make your point. According to eMailmonday, mobile email accounts for 15-70% of all email opens (depending on your target audience, product and email type). And, according to BlueHornet, 67.2% of consumers use a smartphone to check their email. This means you simply can’t afford to ignore your mobile users– you have to appeal to them. and loadable media), but also consider the fact that mobile screens are smaller, so long subject lines won’t be viewable on mobile devices. Keep the formatting simple (single-column), under 600px wide. Use a larger font– small fonts are difficult to read on mobile. Don’t assume images are being displayed (Android turns images off by default). Make sure it looks good without them. Use smaller images to reduce load time. Use a large call-to-action button– larger buttons are easier to tap with a thumb. Don’t place two links next to, or on top of one another. That way, the user won’t tap the wrong one by accident. 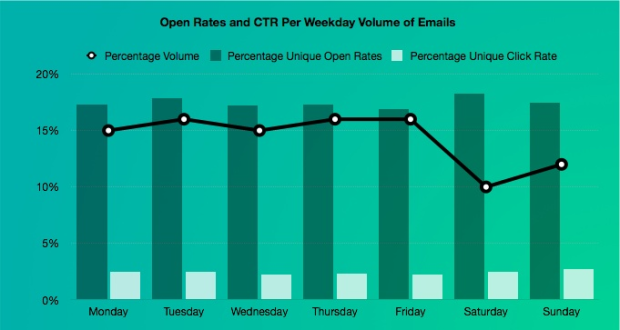 These tips can help any campaign get better open rates, but don’t get discouraged if you don’t see a turnaround right away. Email marketing is an art and science, so give yourself some wiggle room to experiment and find what tactics work best for your business and your subscribers. Are you happy with your email open rates? What techniques have you tested to try and improve them? Let us know in the comments! Thanks, this was what i`m searching for. 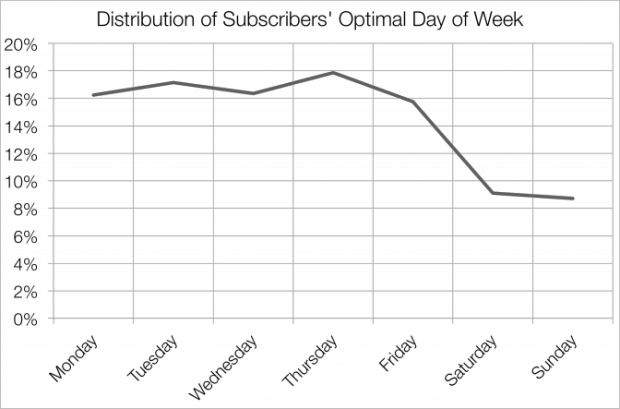 Our open rate just around 10% (+/-). Is it normal? Thanks for the comment, Syahruddin. I’m glad this post helped you! Thanks so much for this infographic! Where is the data from? You’re very welcome, Laura! Here’s the source. Great article Mary. Thanks for sharing. I’m glad you enjoyed it. Thanks for the comment, Vanvisa! Very solid advice – thanks for these great tips! Glad you found these tips useful. Thanks for the comment, Angela!